A noted soloist, Mr. Khaner has performed concertos with orchestras throughout the United States, Canada, and Asia, collaborating with conductors including Riccardo Chailly, Christoph von Dohnányi, Charles Dutoit, Christoph Eschenbach, Claus Peter Flor, Hans Werner Henze, Vladimir Jurowski, Erich Leinsdorf, Kurt Masur, Yannick Nezet-Seguin, Yutaka Sado, Wolfgang Sawallisch, Gerard Schwarz, José Serebrier, Robert Spano, Franz Welser-Möst, and David Zinman. Mr. Khaner’s concerto repertoire is extensive and he has premiered many works including the concertos by Ned Rorem, Behzad Ranjbaran, Jonathan Leshnoff, Eric Sessler and David Chesky, all written for him. As a recitalist, Mr. Khaner has appeared on four continents with pianists Charles Abramovic, Christoph Eschenbach, Lowell Liebermann, Wolfgang Sawallisch, Hugh Sung, and many others. He regularly incorporates into the programs the music of today’s composers, many of whom have written expressly for him. A graduate of the Juilliard School, Mr. Khaner was named to the faculty as flute professor in 2004, holding the position formerly held by his mentor, the late Julius Baker. Since 1985 he has been a faculty member of the Curtis Institute of Music in Philadelphia. He is also Professor of Flute at Lynn University in Boca Raton, Florida. He has given master classes throughout North, South, and Central America; Europe; and Asia. Mr. Khaner has also participated as a performer and teacher at many summer festivals and seminars including the Solti Orchestral Project at Carnegie Hall, the New World Symphony, the Pacific Music and the Hamamatsu festivals in Japan, the Sarasota and Grand Teton festivals, and the Lake Placid Institute. In 1995 he was selected by Sir Georg Solti to be principal flute of the World Orchestra for Peace, celebrating the 50th anniversary of the United Nations. The orchestra regularly reconvenes in venues throughout the world. In addition to his orchestral recordings, Mr. Khaner has extensively recorded solo flute repertoire. He has released seven critically acclaimed solo CDs on the Avie label – American, British, Czech, French, German, and Romantic Flute Music, and Brahms and Schumann sonatas and romances. His recording of David Chesky’s Concerto for Flute and Orchestra appears on Chesky Records and his recording of Ned Rorem’s concerto is on Naxos. His editions of repertoire, including the Brahms sonatas, are published by the Theodore Presser Company. 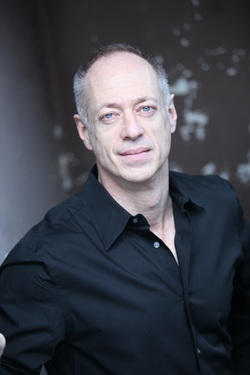 He is a Yamaha performing artist and clinician. For more information on Mr. Khaner, please visit www.iflute.com.